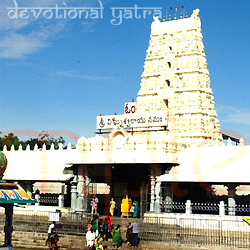 Kanipakam Vinayaka temple is in Kanipakam of Chittoor in Andhra Pradesh. Kulotunga Chola I, a Chola king built Kanipakam temple in the early 11th century. In 1336, the emperors of the Vijayanagara dynasty has extended the temple. The idol in the temple is growing in size even today. Fifty years ago, a devotee has offered a Silver armour to Lord Ganesha’s idol, but it doesn’t fit the idol anymore. Now we can see the abdomen and Knees of the idol. According to a legend, in a village there were three brothers, each one is having a physical defect viz., deaf, dumb and blind. They had a small farm through which they earned their livelihood. One of them irrigated the farm by the canal and the other two irrigated through the piccata system. One day they find that all the water in well is dried because of that they cannot draw the water out of well. So one of them decides to dig the well. He goes into the well and starts digging it, he was startled to see the iron implement hitting a stone-like formation and blood oozing out of it. Within seconds the water in the well turns into red color. With this divine experience, all three of them gets relieved from physical defects. As soon as all the people in the village came to know about this wonder, they rush to the well and start digging more deeper. But all their trails go in vain because of swayambhu idol of God Vinayaka emanated from twirling waters of well. After this, coconuts were offered and the water that came out of those coconuts covered the entire area. Due to this incident, the area was known as Kaniparakam and later is it pronounced as ‘Kanipakam’. Even today, the idol in is in that well, water overflows from it in the rainy season. 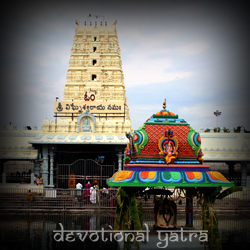 This holy water of the well is given as tirtham to the devotees. 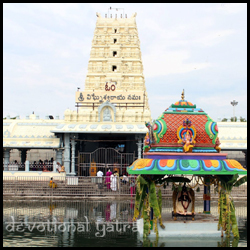 Direct buses are available to Kaniapaka Vinayaka Temple, It is 70 km away from Tirupati. 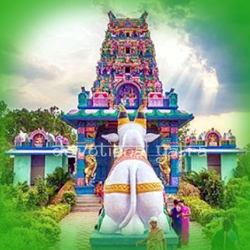 Kanipakam Vinayaka Temple is just 12 km away from Chittoor. Trains are also available from Tirupati – Chittoor. 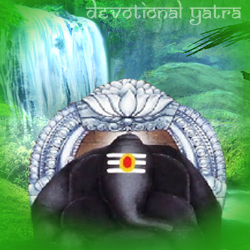 Kanipakam Vinayaka Temple opens at 4:00 am and closes at 9:30 pm. The temple authorities provided accommodation to the devotees. And the details of the stay are in the following.